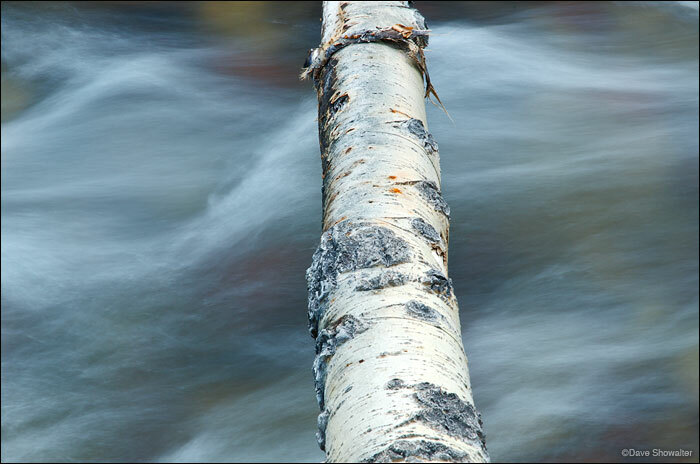 A fallen aspen bole crosses Snowmass Creek, which flows from the high mountain wilderness. The Creek empties into the Frying Pan River, and ultimately the Colorado River. Photo © copyright by Dave Showalter.